After the successful planning application. Work continues on restoring the building to its former glory. Everyone who has been involved in trying to save Yorke Road School over the years, will have been delighted to know that Paul O’Reilly Director of Paul J. O’Reilly Limited has purchased the school and intends to restore this well loved Victorian School building. Work has started to clear the site of rubbish and vegetation only and a Planning Application has been submitted to TRDC for converting the building into four quality residential units. The residents of Croxley Green I am sure are keen to support the Application by letting your approval be heard by the council via their website or by attending any of the meetings that will be scheduled in relation to this restoration, .in the next few weeks. 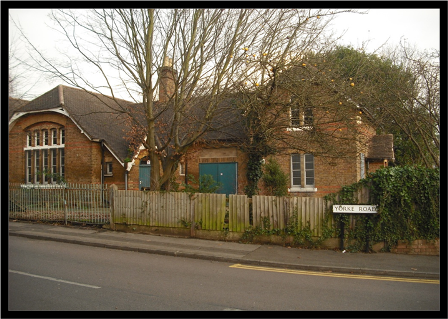 It would be a wonderful legacy for future residents of Croxley Green if this last minute rescue of the well loved School building goes ahead. Progress will be reported on our CGRA website and a link provided when the plans are available. The residents of Yorke Road received a letter from PJ O'Reilly indicating the intention to save the school and restore it to its former glory. You can view the letter on the right. On 8th June 2011 Leukaemia & Lymphoma Research managed to partially demolish the former School; below you can see that the building has fallen even further into disrepair, with now the unfortunate addition of graffiti. The original planning application by Leukaemia Research that was turned down by TRDC can be see below. Leukaemia Research appealed the decision to deny planning permission. The appeal was heard by the Planning Inspectorate and was upheld. The file from the Planning Expectorate can be seen below. Officers at Three Rivers District Council have recently been advised the current owners of the former Yorke Road school site, Leukaemia Research, are to dispose of the site. The Finance & General Purposes sub-committee of the Leukaemia Research Board recently met and considered the various options available to them with regard to the site. The decision was made to sell the site. Selling agents, Brazier Freeth (Simon Scarisbrick), have been appointed by Leukaemia Research to manage the process on their behalf. Signage to this effect will be placed on site imminently. Any specific details required with regard to the sale should be via the selling agents. The building is a Locally Listed building dating from the late 19th century. It is currently vacant and owned by Leukaemia Research. A planning application (09/1798/OUT) for a residential development of up to 5 dwellings, involving the demolition of the existing building, was refused in January 2010 and a subsequent appeal dismissed. Following a recent change in the law, the demolition of the building constitutes "development". However such development has the benefit of planning permission if carried out in accordance with Part 31 of the Town and Country Planning (General Permitted Development) Order 1995. Under Part 31, an application has to be made to the Local Planning Authority giving the LPA 28 days to determine the notification. The issues to consider solely concern the method of demolition and restoration of the site. Three Rivers are aware part of the building has previously been demolished and have been monitoring the site situation. Leukaemia Research commissioned a bat survey the results of which, received in November 2011, confirm historic and seasonal bat activity at the site and the requirement for a European Protected Species licence to be obtained from Natural England prior to any further works. Natural England is responsible for deciding whether they will issue a licence. 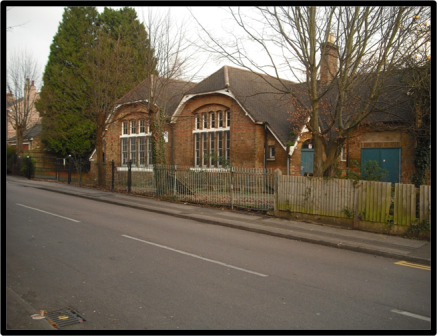 On Wednesday 8 June 2011 local residents made the Council aware that the former Yorke Road School, Yorke Road, Croxley Green was being demolished. Following a visit from the Council’s Projects and Compliance Team demolition ceased but approximately one fifth of the building had already been demolished. No further works have occurred since this time. This building is a Locally Listed building dating from the late 19th century. It is currently vacant and owned by Leukaemia Research. There has been dialogue with Leukaemia Research since partial demolition of the former school buildings last year culminating in a meeting with the new Financial Director in July 2012, who we were advised would be progressing the site and the situation further. Essentially Leukaemia Research would be investigating the future options for the buildings and the site. Officers are disappointed that Leukaemia Research have still not resolved the future of this site but until such time that the owners make a decision on this issue and communicate with the Planning Department there is no formal action that is considered appropriate. Officers from the Projects and Compliance Team continue to monitor the site. We are aware there were previous concerns regarding the appearance of the site and this was passed to the owners who confirmed the fencing and security would be improved and monitored.